McEwen Mining (TSX and NYSE:MUX) President and CEO Rob McEwen on Thursday cautioned shareholders that recent energy-industry expropriation and Argentina government policy decrees augured negatively for its San José silver/gold mine and other development projects. According to one of our MINING.com correspondents who attended the general meeting yesterday, McEwen plans to divest or joint-venture its Los Azules Argentinean copper asset once ownership of the disputed project is resolved next year. The Toronto-based company is currently involved in litigation with TNR Gold (CVE:TNR), a Vancouver-based junior miner that is challenging title to the northern half of Los Azules. TNR is seeking, among other things, recognition of a right to a 25% interest in the property. 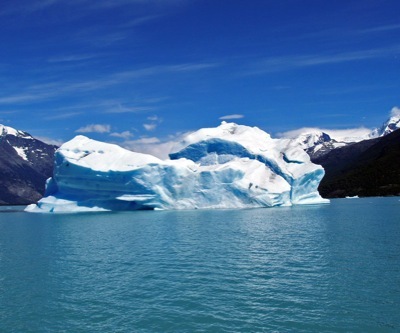 On top of all this, a study published this month by the non-profit organization Center for Human Rights and Environment (CEDHA) of Cordoba, Argentina, claims Los Azules will affect nearly 200 glaciers. If true, McEwen will face serious legal troubles, as Argentina has a law that prohibits mining activities in glacier areas, protecting them as water reservoirs for human consumption and agriculture, as well as maintaining biodiversity and serving as tourist attractions. In a press release, the Canadian miner said the company’s goal is to qualify for inclusion in the S&P 500 by 2015 by creating a high growth, low-cost, mid-tier silver and gold producer focused in the Americas. McEwen Mining's principal assets consist of the San José mine in Santa Cruz, Argentina (49% interest); the El Gallo Complex in Sinaloa, Mexico; the Gold Bar Project in Nevada, US; the Los Azules Project in San Juan, Argentina and a large portfolio of exploration properties in Argentina, Nevada and Mexico. In 2012, McEwen. McEwen will invest about $40 million on exploration this year.